Motu at dawn was brisk but it had a quiet charm. Surrounded by high hills, this flat farmed area sits in the middle of nowhere: imagine coming here years ago and mak­ing a life for yourself. Those pioneering people were hardier than I, but their re­markable stories resonate with me, espe­cially when you’re riding through their area. When times get tough on the bike, I can’t help but think life must have been far harder in the 1800s for farmers, rail­way men, and workers on the roads and timber mills. With jackets zipped up, we rolled out to­wards Matawai. The road drags up slight­ly and my legs were finding it fairly hard. We pitched up in Matawai; the pub, which is not running, was one-third of the old 100-plus room hotel that used to stand in the fields of Motu back in the day. We rode along SH2 for a while and then turned right up Rakauroa Road. The brown dirt instantly gripped our tyres and made the riding tough. The mud sludge splashed up our legs as we ground up towards the high point of the farm road. Rough weath­er rolled, and black clouds once again started to surround us. A few stray sheep ran up the road and wouldn’t get back be­hind the fence—this was riding in the country after all. When we bombed down the other side of the climb, I opened up my legs as the road turned to champagne gravel. This fine gravel held my tyres, and my pace in­creased as I weaved in and out of the cor­ners and up over the short pinches, zoom­ing through lush landscapes that had me in awe. We reached Rere Falls Trail, which offers several ride options, and our plan was to head down to Eastwoodhill Abor­torium. If you’d like you can head down the Rere trail all the way to Gisborne, and even venture onwards into Te Urewera. The alternatives were plenty; as our crew was a little tired, we headed back on Rere Falls Trail to SH2 at the base of Traffords Hill, en route back to Opotiki. The Rere trail was a mix of gravel and seal in farm­land, again a pretty awesome backdrop to pedal through. We got to the SH2 junction and bundled our gear into a car. If you want, you can organize one of several shuttle companies to collect you from this or another point and take you back to where you started. Or you could ride back on SH2, but I think an A to B option is best as it showcases the best of the area without the main roads. This was the end of an epic adventure: the place, with its people, is an incredible place to explore and ride. I can’t wait to head back there for more! There’s a good reason the minor road from Motu to Matawai is very well-formed, cut through banks and over high embankments. Most of the way, you’re on the course of an old railway line that, from 1917-1959, linked Mou­tohora, near Motu, to Gisborne. For decades, there was energetic debate about how best to extend the line from Moutohora to Taneatua, from where you could take the train to Auckland. In the end, roading ruled. The rail link was never made and from 1960 the Gisborne-Moutohora line was removed. At Matawai, most Opotiki-Gisborne cyclists turn right for Te Wera Road, the Rere Falls Trail route. But turning left for Rakauroa Road is a good al­ternative. If you have a spare day, stay at Motu, then ride Matawai > SH2 > Rakauroa Road > Te Wera Road > SH2 > Matawai and back to Motu. That’s about 80 km, with close to 30 km of superb gravel, just 15km of highway, and the rest backcountry sealed road. The ride down Rere Falls Trail to Eastwoodhill is fast and fun, includ­ing the four kilometre plunge of Wharekopae hill and good stopover points at Rere Rockslide and Rere Falls. Eastwoodhill is the National Arboretum of New Zealand, span­ning over 130 hectares, with thou­sands of species of trees and 25 km of walking trails we highly recommend if you fancy a change of pace. East­woodhill offers bunkroom and tour­ist flat accommodation so—no sur­prise—it’s a popular stopping point for cyclists. 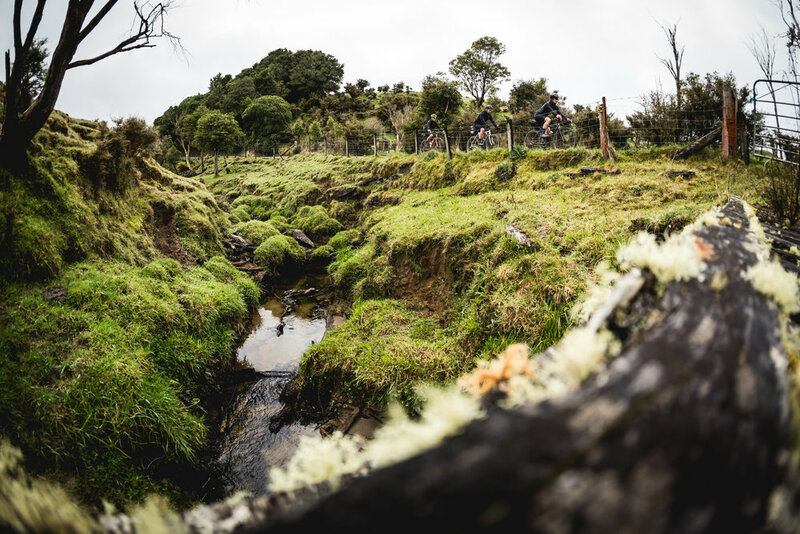 Some head on south to Waikaremoana, some carry through Gisborne and back north ‘round SH35 to Opotiki, and others turn to yet another gravel challenge—Wha­karau road—back to Motu and down the Pakihi Track. To get the very best of NZ Cycling Journal, subscribe to our print edition.